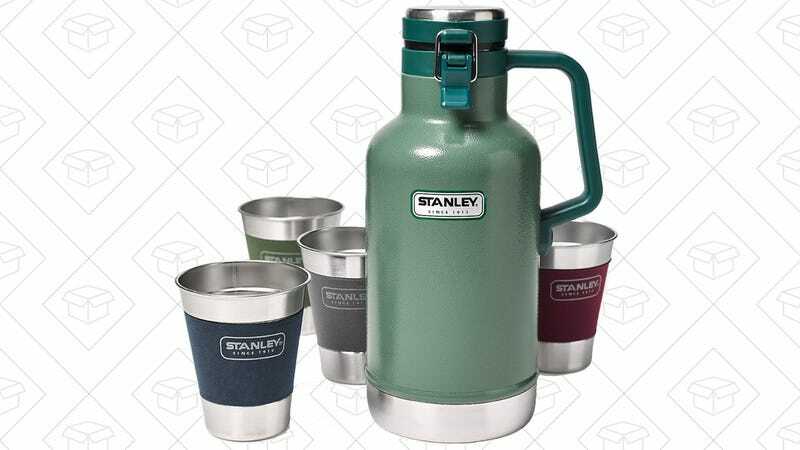 Stanley’s growler kit includes a 64 oz. stainless steel growler, plus four 12 oz. steel tumblers to match, and you can get the whole set for $40 today with code LIGHTS, plus free shipping. If you have any beer lovers on your shopping list who still need a gift, you could do a whole lot worse. For the sake of comparison, Amazon charges more than that for the growler by itself, no tumblers included.